Center for Career and Professional Development has raised $ 1,940 from 28 gifts! Support the Center for Career and Professional Development on #MaryWashDay! 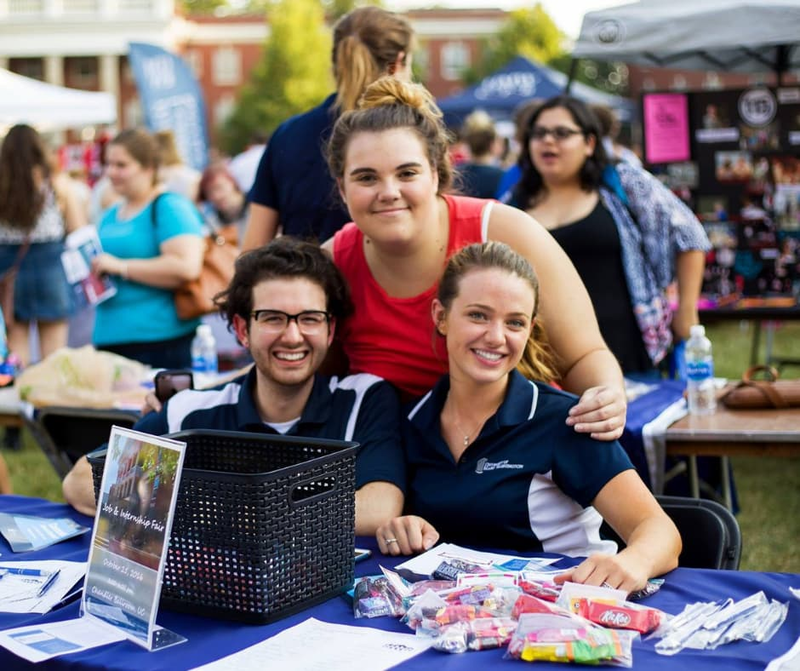 The Center for Career and Professional Development (“the Career Center”) supports students and alumni in realizing their career and professional aspirations. Its central location in the University Center symbolizes the University’s core belief that a liberal arts and sciences education prepares students for meaningful, post-graduation opportunities as well as the constantly changing and increasingly competitive world of work. Long gone are the days when a student could show up at career services prior to graduation and expect to land a job. Securing meaningful and rewarding post-graduation opportunities is a task which spans the entire undergraduate experience. From translating the knowledge, skills, and habits of mind inherent in a liberal arts education and curating one’s personal identity to securing internships, conducting informational interviews, and executing a job search, today’s students must begin preparation for life after college earlier than ever before. Toward this end, UMW is working to develop a four-year career preparation path which will provide students practical advice on career choices, guidance on how transfer their educational experience into career readiness, and intensive coaching to support them along the way. The Career Center needs your support to expand its efforts to assist more students in exploring, planning, and realizing their career aspirations. Your generous gift will support students seeking to explore their career options by expanding funding to defray the costs of internships, externships, and other career related learning experiences. 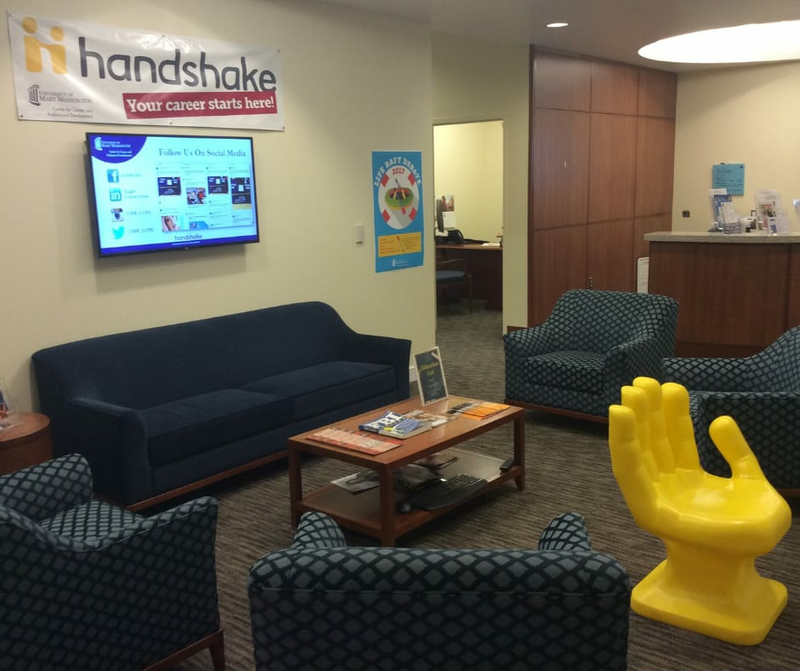 It will also be used to expand the Center’s digital career development tools and resources as well as to support programming which connects students and prospective employers. FULL CHALLENGE MET! THANK YOU, ASSOCIATE PROVOST TIM O'DONNELL AND OUR CENTER FOR CAREER AND PROFESSIONAL DEVELOPMENT DONORS! When the Center for Career and Professional Development reaches the $1,000 mark, Associate Provost Tim O’Donnell will give $100. Make your gift to the Career Center and help unlock Dr. O’Donnell’s challenge gift!